For those of you who love those infographs, Social Times has put together some interesting demographic information on who is using the various social networks. Some of the data may come as no surprise if you follow this kind of data, but some of the data is still pretty staggering. I especially like the section that outlines how much a user is supposedly worth to the networks. I’ll take my check now, Mr. Zuckerberg. As a blogger, I’m always looking for something to inspire me, something to keep me furiously clicking away at the keys and trying to get that next blog post out (and on time, to boot). Copyblogger provides some words of wisdom, as usual. This time, in an easily printable format that you can put right above your desk. No more excuses. Print it. Live it. Do it. Be a better writer. Just as easily said as done, right? Speaking of blogging tips, if you’re having a tough time figuring out what exactly it is that you want to write about, here is a list of 30 Curation Sources from B2B Marketing Insider to help you get started. Some are big news reporting names you’re already familiar with, but there are a few gems in here that I was unfamiliar with, but am definitely checking out. The article provides links and links to Twitter profiles for all 30, so you can jump right in and follow these sources to keep your content fresh and interesting. Anyone who works in social media, or works digitally with clients, will appreciate the humor in this Tumblr blog “What Should We Call Social Media.” If you haven’t checked it out yet, it is a must. Using animated GIFs, this blog expresses exactly what you and I are feeling when clients or their customers do things that drive us up a wall. It also approaches other great themes like “When Klout tells me it believes I’m influential in something I’ve literally NEVER talked about.” It’s a fantastic Tumblr, but be careful it doesn’t drain your day away. You’ve got clients to think about. Great news to all of you Flipboard lovers (like me!). Google+ announced this week that it would finally be opening up its API to allow your Google+ stream to be viewable from your Flipboard dashboard. It was already possible to view your Google+ stream on Google Currents, which was one pull for me, but I’ve been wildly awaiting this announcement. This hopefully means we’ll see many more availabilities opening up (like Hootsuite and maybe Buffer!). Google previous closed-off nature with their API was one thing hurting them in the battle against Facebook. This could be a pretty major turning point for Google+ usage and integration. And finally, for all you music lovers out there, this FREE app is a must-have. Band of the Day is an app for iPad and iPhone that provides a new band or artist recommendation for every day of the year. You can even go back a handful of weeks to see what you may have missed. The app allows you to preview numerous (if not all) songs by the band or artist, reviews, bios, videos and links to purchase the songs as well. It does obviously require an internet or WiFi connection. The user interface is really slick and moves smoothly through all the various screens. There may be a few artists you’re already pretty familiar with, but unless you’re a major indie music aficionado, you’re likely to find tons of music you’ve never heard before. I highly recommend this app, especially on the iPad, to anyone who thirsts for more music in their life. So there you are. Another weeks’ worth of noteworthy, interesting or just funny content to keep you in the know. Did I miss anything great that you came across? Do you know of any other great music recommending apps out there? Do you use Flipboard, Google Currents, or some other dashboard for all your news gathering? Weigh in below with your comments. Stanford at Pushing Social offers up some Essential Tools for the Savvy Blogger in a recent post. He even breaks it into three sections: Research, Writing, and Promotion. I’m happy to see that Buffer made his list for the Research and Curation portion. I’m a huge fan of Buffer (if you haven’t been using this amazing curation tool – which integrates seamlessly with Twitter, Facebook and LinkedIn for the web – then be sure to check it out here). I’m surprised to see that Evernote didn’t make his list for Planning, the tools that did are top notch. You guys, this has got to be one of the coolest things I’ve found on Stumbleupon.com. Seaquence.org has put together this digital music maker of sorts and, as the site puts it, “Adopting a biological metaphor, you can create and combine musical lifeforms resulting in an organic, dynamic composition.” The interface is really easy to use and you can add multiple “organisms” to add depth and variation. You can also donate to the Gray Area Foundation for the Arts from their homepage. If you search for Seaquence on YouTube, you’ll even find some video clips that people have put together showing off their run at making biological music. It’s cool. Check it out. If you make any videos yourself, let me know and I’ll share them with my readers! Facebook is throwing around the idea of dropping or removing the minimum age restriction for usage. Currently, the minimum age is 13, according to Facebook’s terms. Of course, some parents have helped their uber-social tween get Facebook accounts anyway, but there are some interesting ideas being tossed out there. One of the big concerns, according to the Washington Post, is the collection of data from and targeted advertising to children. Another idea being considered is having parents’ accounts have an administrator-like control over a child’s account. This, of course, could be a point of contention as a child turns into a teen, but could be a genius move for Facebook. Not only would it allow millions of kids to create accounts, but it would thereby force any parents of those kids to have an account, use it more often to monitor their child’s usage, and interact with Facebook more than they may have previously. We’ll see where the dart finally lands on this issue, but it will be interesting nonetheless. Some of these tips from Social Media Examiner, if you’re even a slightly experienced blogger, may be common sense. However, this post offers up some really great tips and ideas for using the various outlets at your disposal for promoting your blog. In my case, I share a link to my blog posts on my Google+ profile all the time, but it never occurred to me to paste the entire text into the status update (since Google’s character limit is ridiculously huge0. Not only does this mean people can read your post without leaving Google+, it also is better for SEO! And finally, this music video by a band called Driver Friendly was shared with me by my friend and coworker Calli. She’s a great local music guru for me and she actually used to listen to these guys when they were first getting their start. I have to credit them for making a great music video, a tribute to Tom Hanks movies is a pretty unique theme. It was even Tweeted by Tom Hanks himself, which is amazing for a small band. Check out their nicely produced video and check them out on Spotify or iTunes if you like their music. So there you are. Another weeks’ worth of noteworthy, interesting or just funny content to keep you in the know. Did I miss anything great that you came across? Can you name all the Tom Hanks movies in the music video? Let me know with your comments. Normally on Fridays, I do my Found Tweet Friday post. Today, however, I wanted to do a special edition of the Social Gnome’s Hoard (since the holiday just completely screwed up my schedule for the week!). I want to call attention to some people that I think deserve some recognition, because I think they’re doing some great stuff in their respective segments. So make sure you check out the people below and give them some kudos for the heart and soul they’re putting into their work. Apostrophe Now is an editing & proofreading freelance project recently started by my good friend Lindsey Markel. She’s extremely smart, funny, a creative fiction writer, blogger and eclectic spirit. She has also done copy editing work for a major education technology company (I’m not sure if I’m allowed to name drop, so I’ll err on the side of caution) as well as done some great publicity work for the non-profit Celebration Company at The Station Theatre in Champaign-Urbana, Illinois (a place I used to call home). She’s now offering her copy editing skills to those wanting to clean up their resume as they go out into this tough job market. Every little bit helps out there. Check out her page for some expert advice and an edge that may help you get noticed. Click here to see if you’re up to the challenge! I happened across Anne Reuss and her blog eyeSocial by chance, and we began talking about a post she wrote on the bond between siblings. It was a great dialogue that we had and I decided to keep up on what she was doing. Then I discovered this portion of her blog, and I realized she was doing even greater things than I thought. Anne has set forth a challenge. You see, she is deaf, but works in social media. With the constant influx of startups and new businesses, she found that she was constantly having to spell out in ASL (American Sign Language) the names of all these businesses. So she challenged owners of startups and other social media experts to come up with signs in ASL for these businesses. This unique proposition has caught the attention and participation of many people already. Are you up to the challenge? Check out what Mike and Dave the penguin are up to! 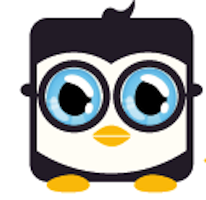 The Social Penguin is one of my favorite blogs to follow, and I’ve even guest posted there a few times. 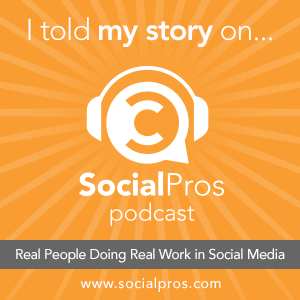 Mike McGrail is very active in the world of social media and has some amazing insights. The link above takes you to a great post providing 5 tips on how to drive traffic to your blog (and couldn’t we all use more traffic to our blogs?). He has also been my go-to guy for what great apps I absolutely need to have. As a matter of fact, he just turned people on to a handful of great apps in one of his most recent posts My 6 Essential Apps for Life. It will change your life, or at least the way your organize it digitally. Check out more images like this! I can’t say I have an eye for capturing beauty. Occasionally, I can fumble an Instagram picture with just the right perspectives, but it’s a rare occurrence. Nicole at wave parade, however, has that eye uniquely focused on making blog posts that are simply put: visually stunning. Often one of few words, she lets the images she puts together tell the story for her, and you’ll still be able to get it. I met Nicole through social media elite Starr Hall, who I’ve also guest blogged for a couple times. Nicole has a similar enthusiasm, and I think she’s going to be one worth watching, wherever she goes. There you have it. Some people and blogs you may have never heard of, but are certainly worth your time, should you be interested in their content. Who are people that you admire or that you think are doing important and wonderful things? Chime in below! Next week, I’ll be back to a normal schedule, I promise. Until then.